February is commonly known as the month of love where we celebrate Saint Valentine, who is the patron of love, young people and happy marriage. Valentine's Day is right on our heels, and that has me thinking that Jason and I will be celebrating our 23rd one together this year (where's the shocked face emoji when you need it?) 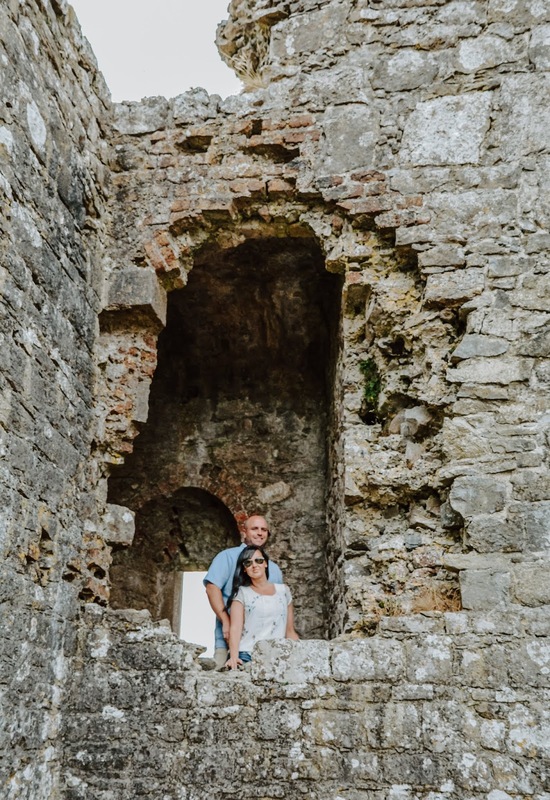 For this blog post I was asked to share the most romantic thing that's ever happened in our relationship, but I'm not going to do that. Why? I sat here and tried to think of some over the top, made for television romantic gesture that Jason or I have done for one another because surely in 23 years together we should have plenty of those moments, right? Sorry to tell you kids, but our relationship has never operated that way. Instead, it's the little things that keeps the spark alive here. And, that's the secret to our longevity. 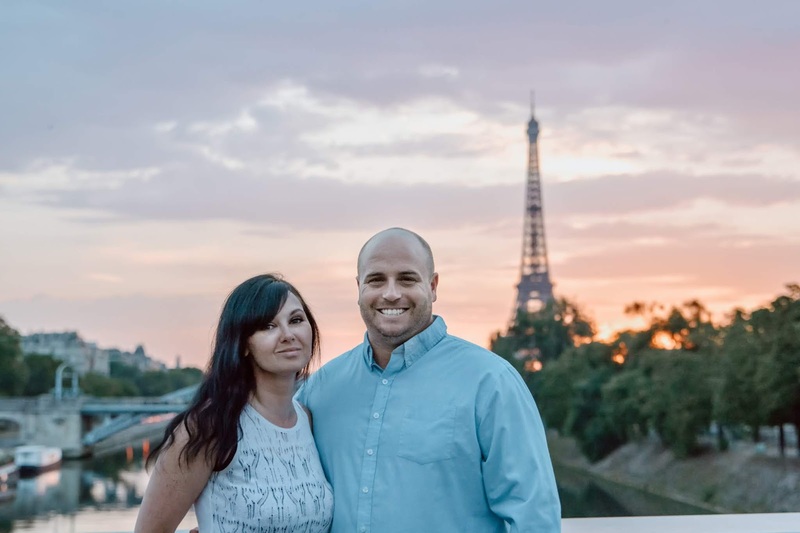 From 16 to 39, we've had our ups and downs, but what's kept us going strong really are the every day small things that are so easy to overlook. I won't speak for Jason, but for me it's always having a full gas tank that I didn't have to pump, getting to sleep in on the weekends while he's letting the dogs out to potty, and knowing he'll be the one to chauffeur the girls and their friends around town. It's romantic walks down the aisles of Target while he carries all of my purchases, always holding the door open for me, or surprising me with some rose gold silverware because he read that I thought it was pretty while talking to my friend Dezzy in my comments here on my blog. He doesn't complain (too much) about being an Instagram husband, having to switch to a mostly vegetarian diet at home, or my chocolate obsession. It's spending hours online trying to find authentic French pastries within driving distance because I've been dreaming about them since our trip to Paris last summer. It's also bringing a Pistachio muffin home after work because he knows I have a weakness for them. While I may not have some sickly sweet romantic story to tell you, I could go on about a million little romantic gestures that far outweigh one big one because those are the things that truly matter here. This Valentine's Day we will also be having a low key holiday, but that doesn't mean it won't be filled with love. A homemade dinner, and light dessert, then snuggles on the couch with a glass of Blueberry wine and Netflix. You don't have to go over the top for Valentine's Day either. 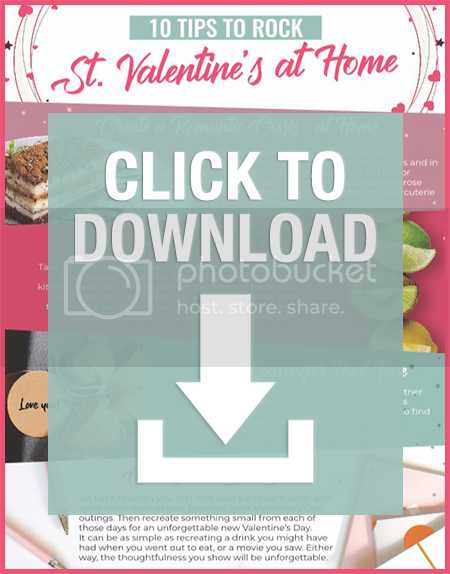 Our friends at CATHOLIC CENTRAL have put together this great downloadable PDF to help you create a romantic Valentine's Day at home without breaking the budget. You'll find some great budget friendly Valentine ideas, from creating a romantic oasis at home to pink themed menu items to help make the holiday pop! The giveaway is open to residents of the U.S., 18+ (PO Boxes will not be accepted) and will run through 2/24/19. Winner will have 24 hours to respond to winning email before a new winner is selected. Only one win is permitted across all blog giveaways. If you win this giveaway, you will be ineligible to win on another blog. Please enter on the giveaway widget below. Jason surprised me with the rose gold cutlery as well, especially with how quickly he found it for you! 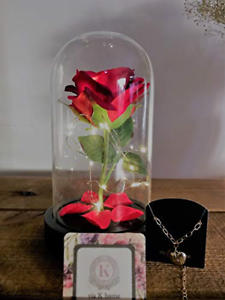 It is the little things that count in life, indeed, like when you send me a lil' gift even though you did not have to or when you comment every day on my blog because we is a part of each other's daily routine! We will avoid the restaurants at all costs on that day since they are so busy! I might make a homemade pizza shaped like a heart though. We'll see how much effort I feel like putting forth that day. Instagram Husband...that's funny. Have a nice Valentine's Day. The little things are what add up and keep things going indeed. A grand gesture may be nice, but it never lasts. Here's to 23 more. I like It's Scavenger Hunt Time. I like looking for clues, and I think other people do too! Fun times ahead! I like the idea of the Blind Taste Test, but with a spin. With different types of drinks that may be in the house. OR to create a drink blind taste. For instance, his favorite is beer... find different beers and have him identify the style (lager, stout, IPA, etc). You still look the same!!! I love that your family is a big success story. It's inspiring to see in an age where people have become disposable. :) I hope you had a wonderful holiday. I like the Valentine's Day time capsule. What a great idea to look back on. I am liking the It's Scavenger Hunt Time. My favorite Valentine's activity is the Blind Taste Test! My favorite would have to be creating your own romantic oasis at home. My favorite is the Scavenger Hunt Time. I love scavenger hunts and this one just looks like it would be so much fun to do together. My favorite idea is the create your own St. Valentine's Day Time Capsule.